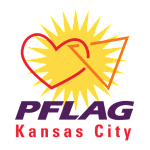 Become a member of PFLAG and join with thousands of people from all walks of life, working to end discrimination against lesbians, gays, and bisexuals. Teach your children that being gay, lesbian, or bisexual is simply another means of expressing love. If one of your family is gay, lesbian, or bisexual be sure to let them know you love them just the way they are. Don’t tell anti-gay jokes. You just perpetuate the stereotypes about gays and lesbians. Read PFLAG literature and find out more about what it is really like to be a lesbian, gay, or bisexual in our society. Be open with others about having lesbian, gay, or bisexual friends or family. Secrecy breeds shame. If you over hear someone making an anti-gay comment, let them know you don’t agree or approve. Write Congress to protest any anti-gay legislation as you become aware of it. Encourage open and honest discussion of gay, lesbian, and bisexual issues in your home, workplace and church. Stand with those who believe that discrimination against anyone is a crime against humanity – TAKE A STAND WITH PFLAG.